The beautiful white AD stone work decorating the mesh style provides the bangles associate exquisite look creating them excellent party wear. 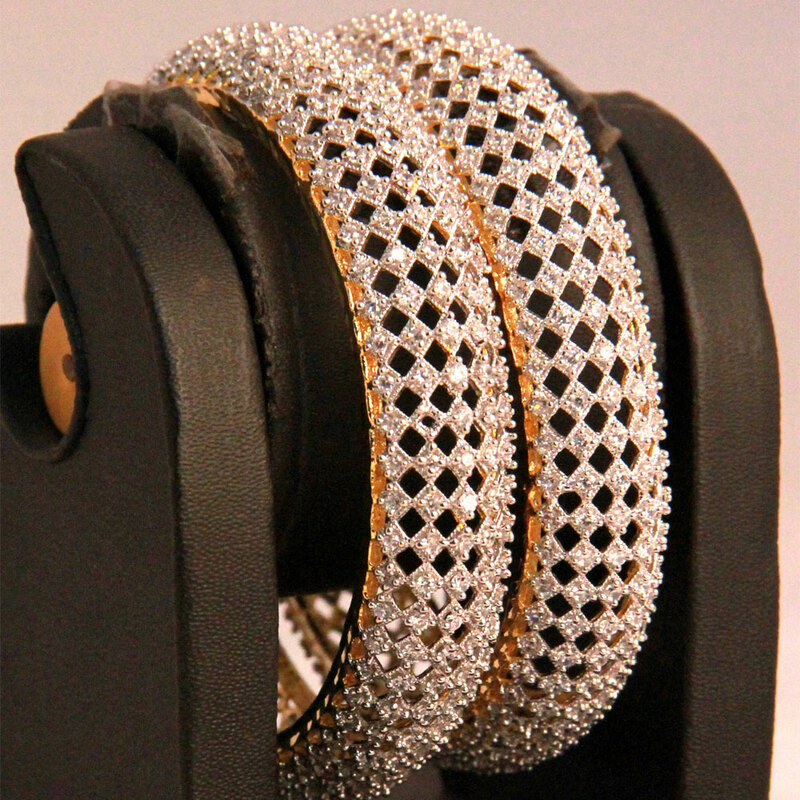 The intricate mesh type design of these elegant pair of fashion bangles, crafted from a base metal of brass with micro gold plating, is sure Read More..to dazzle anyone. The beautiful white AD stone work decorating the mesh design gives the bangles an exquisite look making them perfect party wear. Show Less..